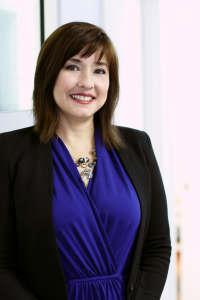 Lisa opened the Honolulu and Pearl City office with her business partner Chad Higa in 2007. Their vision is to help companies in Hawaii find good workers and to help local job seekers find jobs with great companies. Lisa is a wife and mother of two boys. In her spare time, you will find her at the soccer field watching her oldest son play. And one of Lisa's biggest inspirations is her youngest son who was diagnosed with Autism five months after starting their business. Lisa dedicates her time and efforts to help the Autism community in Hawaii. Lisa received her bachelor's degree in Marketing from the University of Hawaii. And has continued her learning through Express and was selected to attend the Express Leadership Academy which is a program designed from an MBA program specific to the staffing industry. Prior to starting her career in staffing she spent 13 years in Advertising with GTE/Verizon/Hawaiian Telecom. She moved up quickly in the organization and ended her career as the District Sales Manager for Major Accounts. Capitalizing on her strengths of helping small business owners thrive and succeed in the Hawaii market, she decided to join the Express family. The Hawaii office has been recognized as one of the Top 25 Women Owned Business and Hawaii Best Workplaces through her leadership and guidance. Lisa feels so fortunate to work every day with her Dream Team.